Orthodox Theology is a science and in fact a positive science, because it has a cognitive subject and it also implements a scientific method. In Orthodox tradition, two kinds of cognition or wisdom are discernible (from the Apostle Paul, James the brother to Christ, through to Gregory Palamas and Eugenios Voulgaris etc.). There is the cognition of the Uncreated (God) and the cognition of the created (the world, as something fashioned or created). The cognition of God (“theognosy”) is supernatural and is attained through the synergy of man with God. The cognition of the world is natural and is acquired through scientific research. The method for attaining the cognition of the Divine is the “nepsis” (soberness) and “catharsis” (cleansing) of the heart (Psalm 50:12 and Matthew 5:8). Theology, therefore, is the gnosiology and the cognition of the Uncreated. Science is the gnosiology and the cognition of the created. In the science of faith, cognizance is called “theosis” (deification) and is the sole objective of Orthodoxy. All else is only the means to that end. The two gnosiologies - of the Uncreated and the created - function with different instruments, which is why the boundaries between them are discernible. The instrument used in the science of faith is not the intellect; it is the heart, which is able to accommodate the indwelling of the Uncreated, when the heart is cleansed of passions and is able – as a supernatural instrument of man – to develop its noetic function (the energy of the “nous” inside the heart). Observation and experiment – both basic parameters of scientific method – also exist in the science of faith. 2. Therefore, with the acknowledged existence of two separate kinds of cognizance by Orthodoxy, there cannot possibly be any conflict between Orthodoxy and Science. Conflict is avoided, because the opus of science is to acquire a knowledge of the essence and of the operating mechanisms of beings, whereas the opus of theology is to attain a knowledge of God – their Creator. Natural sciences preoccupy themselves with the “how”, whereas theology seeks the “who” and the “why” (teleology). Thus, it is quite possible that the Holy Bible and the works of the holy Fathers (i.e. the Saints) might contain scientific errors, when compared to the constantly updated findings of the natural sciences. However, they do not contain any theological errors. The “Theoumenos” (deified Saint) familiarizes himself with the reasons (logoi) of beings, the cause of their existence and their dependence on God. However, the study – as we said – of their essence and the way they function is the work of the natural sciences. Thus, it is theology that acquaints us with God and the world as His creation, not the natural sciences – which are created by man. In Scripture, God provides the truth about Himself, and not any (scientific) information about the natural world. In the Bible we learn who God is, so that man is enabled to reciprocate to His love. In view of the above, it should be noted that in scientific matters, a change in opinion is possible, when it is based on new findings; in soteriological matters however, no changes are possible, because the method for salvation-theosis (deification) is perennially unvarying. When Fathers (i.e. Prophets, Apostles and all the Saints) happen to have also acquired human wisdom (for example, Basil the Great), they will have become well-versed in the scientific theories of their time, which, however, they will have examined through the prism of their theology, given that their aspiration is not natural scientific knowledge but rather the guidance of their spiritual children towards salvation and their protection against the knowledge that might possibly be an obstacle on their path towards theognosy. The disposition in this case is not a priori a bellicose and rejective one; it is simply pastoral and protective. The professor-scientist who has knowledge of the Uncreated is the Spiritual Father (in Orthodoxy he is called a “professor of the desert”), who must have acquired the experience of theosis (deification). 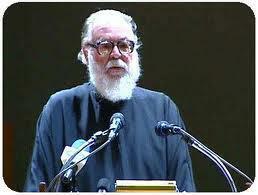 On the basis of this principle functions the Tradition of Orthodoxy, with the Ecumenical Synods as its center. The corpus of the faithful trusts the knowledge of the theoumenoi, the way that scientists trust the knowledge and the credibility of the specialists in their field. It is in this context that the significance of the dogma becomes apparent. The teaching of the faith (this is dogma as the experience of the Saints) is the scientific handbook of the scientist of theosis and it acts as a guide for others towards theosis. The Orthodox faith is as dogmatic as science. The dogmas of science with the secular understanding of them are its axioms. In this sense - according to Marc Bloch – scientific research is likewise “prejudiced”, and not just theology; however, without this “prejudice” on both sides, progress in this double science is not possible. 4. Thus, sainthood is not an obstacle for scientific knowledge - quite the opposite. Besides, it is admitted in the Old Testament (Wisdom of Sirah 38:6), that God: “gave men skill (science), so that He might be glorified in His wondrous works.” There is nothing that can orthodoxically preclude the possibility for someone to possess both kinds of scientific knowledge – a fact that exists in the major Fathers and Mothers of Orthodoxy. Orthodoxy chants about such a personage, on the 25th of November; it is the great mathematician of the 3rd century, Saint Katherine: "The Martyr since childhood hath received wisdom from God and hath also learned very well every wisdom of the world." On the contrary, wherever there is a “religionized” or “ideologized” faith (in the various religions of the world), Religion and Science resort to using the same instrument, i.e. intelligence-logic, and thus will inevitably reach the point of conflict, given that after a certain point, logic will be unable to accept the positions of religion, while religion will not be able to accept the findings of science when they contradict the positions of religion or of the “religionized” faith, which are regarded as scientific. What is more, the problem for religion begins with the acknowledgement of sacred scriptures (e.g. the Holy Bible or the Koran) as scientific treatises. 5. When Theology and Science met, tragic mistakes were made by both sides, which led to absoluteness and isolation on both sides. The Western Church insisted on a verbatim interpretation of the Holy Bible, without any reference to Patristic interpretations thereof. Besides, after the instance of Galileo, conflict was considered a given fact, by both sides. Victims of this perception during the 20th century were Lemaître and his “Big Bang” theory, which was rejected for being a clergyman’s discovery! Furthermore, the different language used quite often led to a conflict. The Bible-bashing of the ecclesiastical side often confronted the rationalism of the natural scientists. The foundations of intellectualism in Europe began with the venerable Augustine (“credo, ut intelligam”) and culminated with Descartes (“cogito, ergo sum”). Priority is given to the intellect, even in the sphere of Faith. God, finally, is understood as being a Gnostic “object”, which is “perceived” with the power of the mind, which is thus elevated, as the supreme component of human existence. 6. It is nevertheless a fact that science in Western Europe originated from theology. Not only by the western Fathers, but also by Descartes, Leibniz, Newton, who were also theologians. Faith in God entailed recognition of logicality in Creation, which was thus made accessible to research. Later, however, the “child” revolted against the mother and their ways parted. This however did not occur in the Patristic tradition of the East, in which, not only did science and theology walk hand-in-hand; as a matter of fact, Theology also proved itself to be a reinforcement for the true progress of Science. A few examples from the works of Basil the Great ("On the Hexaemeron", PG 29,3-208) and Saint Gregory of Nyssa ("On the Creation of Man", PG 44, 124-256) will suffice. Basil the Great accepts a beginning to the world and a Creator-God: “If therefore the world has a beginning and was created, then seek out Who gave that beginning and Who the Creator is.” (Εί ούν αρχήν έχει ο κόσμος και πεποίηται, ζήτει τίς ο την αρχήν αυτήν δούς και τις ο ποιητής). Gregory of Nyssa (PG 44,77D) determines the “beginning”: “Everything was (contained) in God’s first movement regarding Creation, as if a certain seminal power was exerted for the creation of everything, however none of them was yet active.” (Τα πάντα ήν εν τη πρώτη του Θεού περί την κτίσιν ορμή, οιονεί σπερματικής τινος δυνάμεως προς την του παντός γένεσιν καταβληθείσης, ενεργεία δε τα καθ’ έκαστον όυπω ήν). Gregory could well be called the prophet of the “Big Bang Theory”, inasmuch as the “seminal power” can relate to the “hyper-concentrated mass” of the contemporary theory. Basil the Great (PG 29,36B) accepts an evolving course in Creation, presenting the “primary beginning” as having “labor pains during the genesis of all things, on account of the power deposited in it by the Creator” (ωδίνουσαν μεν την πάντων γένεσιν, δια την εναποτεθείσαν αυτή παρά του δημιουργού δύναμιν) and was awaiting “the appropriate time, so that upon divine command, it would reveal its movements” (τους καθήκοντας χρόνους ινα τω θείω κελεύσματι προαγάγει εαυτής εις φανερόν τα κινήματα). And this, because – according to Gregory (PG 44, 72b) – “God deposited altogether the causes and the reasons and the powers of all things, instantaneously”. (πάντων των όντων τας αφορμάς και τας αίτίας και τας δυνάμεις συλλήβδην ο Θεός εν ακαρεί κατεβάλλετο). Besides, the universe - according to Basil the Great (PG 29, 1164) - is alive and pulsates with movement, constantly developing and taking shape within Time. “Having received its beginning from the first command, the progression of nature thereafter passes through all of subsequent Time, up until it reaches the common ending of all things.” (Η της φύσεως ακολουθία εκ του πρώτου προστάγματος την αρχήν δεξαμένη, προς πάντα τον εφεξής διεξέρχεται χρόνον, μέχρις αν προς την κοινήν συντέλειαν του παντός καταντήση). Gregory (PG 44, 148C) also accepts an evolving course in nature: “As though moving up steps - that is, the characteristics of life - nature ascends from the minutest ones towards perfection.” (Καθάπερ δια βαθμών η φύσις, των της ζωής λέγω ιδιωμάτων, από των μικροτέρων επί το τέλειον ποιείται την άνοδον). Basil the Great does not expect all the answers to be in the Holy Bible; instead, he considers that scientific research is necessary: “It (the Bible) has withheld many things, thus exercising our mind towards in-depth research, by providing few things as the cause for pondering.” (πολλά απεσιώπησεν (η Γραφή), τον ημέτερον νουν γυμνάζουσα προς εντρέχειαν, εξ ολίγων αφορμήν παρεχομένη επιλογίζεσθαι…) The Fathers that did have scientific-educational training, dealt with the natural issues on the basis of the scientific knowledge of their time; that is why, although they may differ between them in those matters, they however have no contradictions between them in theological matters. The interpreting of the Scriptures is the work of divinely-inspired interpreters, not scientists. The existing differences between patristic theology and science do not lead to rifts, because true theology waits patiently for science’s progress in order to comprehend the theological aspects. Two examples: Heisenberg’s Uncertainty Principle helped Physics to approach Theology, as well as its “negativism” (the inability to provide a precise definition). Furthermore, another American astronomer had stated that physicists are like mountaineers, who, upon reaching the summit, find the theologians waiting for them, seated comfortably in their armchair! 7. Consequently, as far as Orthodox Theology is concerned - and with Patristic tradition as its prerequisite – it can see the possibility of collaboration between Theology and the Natural Sciences, with regard to the updating of Theology and the moralization of Science. It is furthermore a fact, that the climate of conflict of the past has been limited in our time – unless prejudices on both sides continue to exist. Theologians have accepted the freedom of scientific research, and scientists do not involve God in their research. Besides, both faith and science are subject to universal laws, and both of them seek the truth – be it the natural or the supernatural. Michael Polanyi (Personal Knowledge, 1969, p.266) accepts faith as the source of every kind of knowledge, since “all our basic beliefs in the scientific sector are improvable.” Besides, all worldviews – even the scientific ones – are connected to the various social models, in whose space they are produced or reproduced. In that way, various subjective ideas and prejudices also penetrate science, under the influence of the social environment. “Vorverstaendnis” also exists in research. No worldview, therefore, can lay claim to the truth in its fullness, as scientifically as it may present it. The encounter between Theology and Science is far more effective, when the theologian converses with true researchers (that is, independent ones and not those who are also involved elsewhere), and the scientist has discussions with the continuers of Basil the Great and Eugenios Voulgaris – not fundamentalists of the western or Islamic kind. I was taken by surprise in a country of the Middle East, when a Dean-Professor of Physics sought backings to his science in the Koran. The tendency for absolutism in science is moderated by the disagreements that have been observed between scientists, while in heology, by the awareness of the Patristic example. Quantum mechanics has disproved causality, but Einstein disagreed (“God does not throw dice”). On the other hand, the Roman Catholic Church is still paying for scholasticism’s crime against Galileo. Quite rightly therefore, Science does not preoccupy itself with “the problem of God,” because that would transform it into metaphysics, thus rejecting itself; it would no longer be a positive science. Science is unable to reject the possibility of God’s existence as the Creator and the Provider of the universe, because it does not possess the necessary instruments in order to capture Him. That is why it cannot accuse theology as being a mythology and superstition. But neither does Theology have the right to accuse Science as something atheistic – that is, by basing it on its own criteria. On the contrary, prospects are opening for a common course and collaboration. 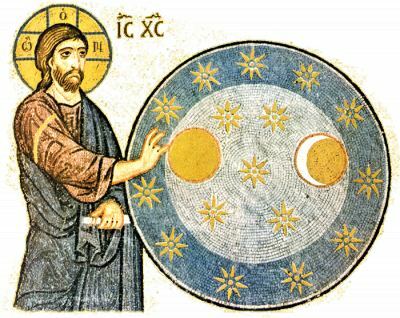 Science, with the help of Patristic Theology, (a) discerns its own boundaries, (b) receives significant moral guidance by becoming aware of its philanthropic and ministering character and (c) recognizes man’s worth, given that Theology teaches that “the Sabbath was made for man, not man for the Sabbath" (Mark 2:27), or that man is a “deifiable creature” (Gregory of Nyssa), or that man is “called to godhood” - he has within him the commandment to become a god - (Basil the Great). Let us not, therefore, each place boundaries on the other’s Science; rather, let us respect the findings of both sides' research, which is performed with self-respect and humility, because our world does not need the natural sciences only, but also the science of theosis (deification), given that “man cannot live on bread alone” (Matt. 4:4).